A few days back i got a message on my WhatsApp asking me if jamb has released the just concluded jamb option mock results. This article was put together by our team mainly to help thousands of jamb candidates who took the optional mock exams and are desperately waiting to see what their result looks like. Now as a jambite you might ask how can i check my mock results when it is out? Checking of jamb mock result is not rocket science everyone can do it provided you have a smart phone, laptops or any device that can browse when connected to the internet. Like we said checking of jamb mock results is not a rocket science. 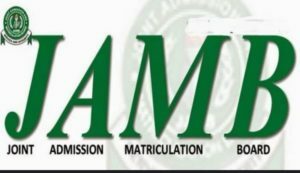 Jamb has made everything much more easier, even they have even provided a service that helps to dispatch jamb mock results automatically to candidates email address and sms inbox. But we know that not everyone will receive this sms or mail from jamb while others won’t even have the time to log into their inbox to check. A space will be provided for you to enter your jamb registration number. Note : only those who showed up and wrote the jamb mock exams will be able to see their results. If you did not, you will see a message “You did not seat for Mock Examination”. Hope the above information is helpful? So let us know your jamb mock results.